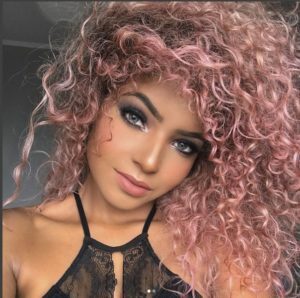 ▷ Best Curly hair highlights 2019 ¡Photo ideas & step by step! 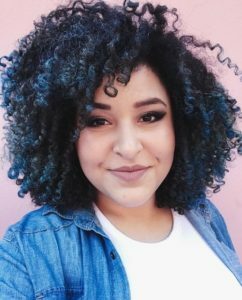 What most of the people believe when they think about curly hair is voluminous, frizzy and rebellious hair but altogether, styled hair. What they don’t actually think about is curly hair with any type of beauty treatment. Curly hair with highlights it such a weird and amazing thing that people don’t actually think about it that much, but don’t believe it is an easy thing to accomplish, contrary to what some can imagine highlighting curly hair is not the same as highlighting straight or wavy hair, the technique must be adapted to the texture and style of the hair, so it is important that you go to your trusty stylist and tell them what you want so they can apply it and work magic the way that only they know. 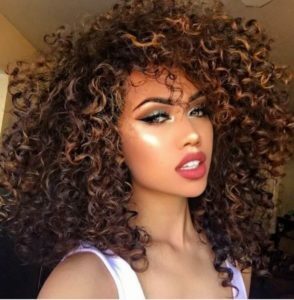 To have curly hair with highlights it is recommended that you do not highlight it with the traditional foiling technique, as it could actually leave you not looking as natural with curls as you may want. Thus it is better for you to use the hand paint technique as it will give you the natural sun kissed look that we are looking for here, this was you will be able to apply the paint that is needed in each individual curl, adding or reducing certain pieces accordingly to what you want to achieve. 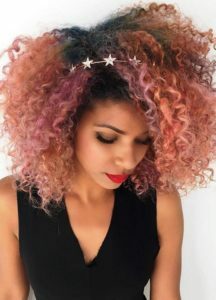 As said before, there are other techniques to highlighting your curly hair, one is the hand paint technique that we talked about before, where you apply the dye on the curls by free handing it and paying attention to each individual curl, as each one has its own curliness; some curl way more than others. Another technique, created by Devachan Salon is called Pintura, it is quite similar to the one before, these ones takes more interest in highlighting the movement and dynamism of each curl, allowing the stylist the opportunity to trust their own artistic instinct to end up with the perfect harmony and balance between the shape, shadow, light and tone. Highlights are painted by hand onto the hair using a painted comb brush in vertical brushes giving, automatically, a higher contrast to the tones in your hair. And last but not least, a unique technique to highlight your hair at home! Denis Da Silva, the creator of this method says that if you are going to do highlights at home you actually have to be able to do it, so he created an application tool that has been designed with some space to insert color and apply it precisely to the desired strands of hair. This technique is also known as Balayage highlights. The most important thing for you to do before even trying to change your look is to investigate and look out for all the incredible amount of options that you have so you can be sure that what you’re going to apply to your hair, so depending on what you want to apply to your hair you will always have an idea of what it could end up looking out on you. Also, what we mean by following your heart is that you also pay no attention to what people may think, your hair is yours to do whatever you want to feel the best you that you can be. 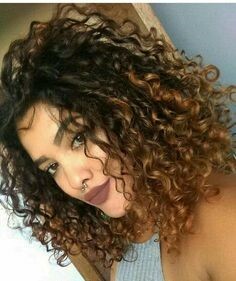 Altogether, this also means that you do not have to follow the trends to have your curly hair with highlights, especially if you don’t like what is trending right in the moment, or even if you like it but don’t feel certain that you are going to look good in it then you should not do it. Remember that having a change of look is supposed to make you feel better about yourself and not insecure. 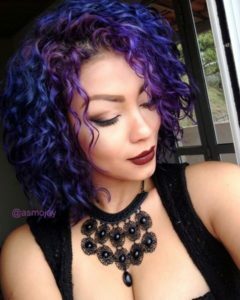 To have a great look with your curly hair you should keep in mind what the best tones and shades are for you and your base hair color. Also take into consideration then undertones, if you have warm skin you should go for warm tones as well, and if you are cool toned you should stay within the cool tones range. For blonde hair, choosing the right tone for your highlights is definitely one of the easiest hairs to choose the right highlight color, as it will look natural. 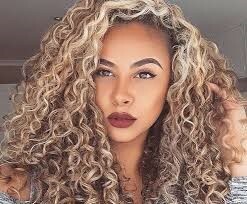 Your blonde curly hair will look awesome and natural if you only apply a lighter blonde shade, only two or three, to your base color and you will have awesome results! Brown hair has such a wide variety of shades and tones by itself that it could be difficult to choose the correct shade by yourself, don’t be shy to ask your stylist! So if you have light brown hair, we recommend you to try some blonde highlights as they will give you a ‘wow’ factor as well as lightening your face and hair tone! And if you have dark brown hair your best option is to apply some tone on tone highlights, asking your colorist for highlights that are lighter than your base color and to layer different tones of that shade will add vibrancy and depth to your dark brown curly hair. If you have red hair the best option is to do just like the blond haired girls out there, pick a highlight shade that is at least two tones lighter than your natural red hair to have the best and most natural highlights that you can think about. 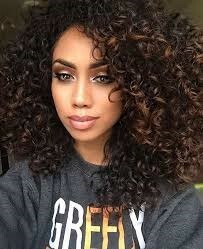 Or if your curly hair is naturally light then you can go to the other side and instead of doing some highlights do some lowlights that are a few shades darker than your base color to have that highlight look without highlights, take into consideration that lowlights need more maintenance than highlights. 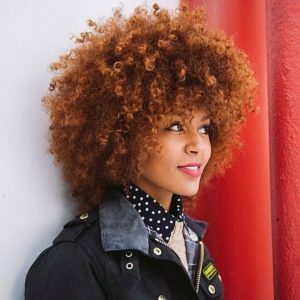 Try to always go for golden or warm colors that will best suit your naturally red curly hair and will make it look natural and with more dimension. Are you liking these highlights? Learn how to make them right here! If you want to add some light and movement to your black curly hair, then adding highlights to it will do the trick. You just have to make sure that your stylist knows how work with your curls to give them the best results you can have. If you don’t know what shades should be your highlights here are some that we swear will make you look the best. 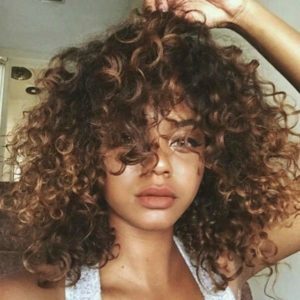 If you are going for a natural sun kissed look then you should try some brown highlights, as brown is technically the next shade from brown they will look great, caramel highlights are also a great color to add to your black hair for a natural and beautiful look. Highlights are such a delicate thing to do, if you choose a color that is too light or the wrong undertone and they won’t look natural or it will be easier to see any mistakes in the blending process. But don’t let these things stop you from getting your highlights! If you really want to have some highlights but are afraid that they will not look natural, then why don’t we think outside the box and make them look completely unnatural by doing a color that only cartoons have! Maybe you liked a fairy that had blue hair, or a high school student that had it pink. Well, think no more, you can have parts of your hair with those fairy tales colors you will look awesome with them, and the better part of this all is that they work with every hair color! You have black hair? You can add some pink highlights into the mix. Brown hair? Purple will make it look with more style! Blonde hair? Some blue highlight will definitely do the trick for you. 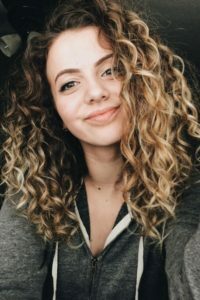 We all curly haired people know that taking care of our mane can be a difficult task if you do not know what to do, yet here I am to give you the secrets to having a beautiful curly hair once you dye it. The first thing you need to know is that curly hair is naturally thirsty, and by this I don’t mean that it needs water but that it need moisture and plenty of hydration done to it, especially after you apply the highlights as dye can be extremely drying. To do this, it is recommended that first, you lower the rate in which you wash your hair, one or twice a week is more than enough, and on wash day you should add a deep conditioner to it to give it that shine and make the curls manageable. Changing your hair routine can make a huge difference at the time of having you’re your curly hair healthy. We already told you about minimizing the times you wash your hair, but changing your shampoo to one that has no sulfate will make a great change as well as never jumping conditioner, if you do it you may end up with straw like hair. Adding oils to your scalp about 30 minutes before you wash your hair and on top of that adding the deep conditioner will give you a great looking and healthy curly hair.